Group JYJ Park Yuchun and granddaughter of Namyang Dairy Products’ founder, Hwang Hana, have set their wedding for September 10th. 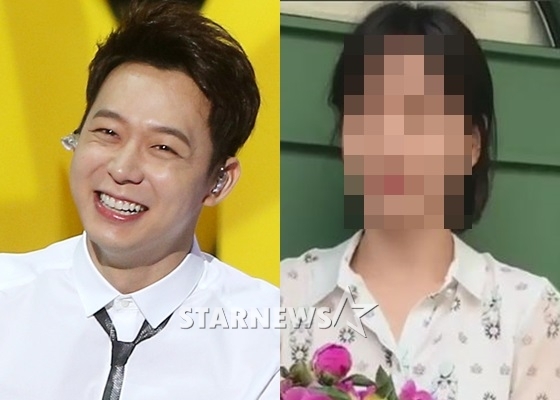 According to both families on June 13th, Park Yuchun and Ms. Hwang are getting married at an undisclosed location on September 10th. It became known that Park Yuchun and Ms. Hwang confirmed their wedding date and are in the midst of preparing the wedding. Meanwhile, having made his debut in the entertainment industry in 2004, Park Yuchun is in the middle of carrying out his compulsory military duty as a public service worker currently and will be discharged from his military service this coming August. Congrats! I heard from kfans that he’s not going to retire. They talked with his aunt and that’s what she told them. All is good! Waiting for JYJ comeback and the return of Chunface in a drama! The “not retiring” reassurance from his aunt is what I’m most excited to read about! Thank you #Yoochun! As for his marriage I have nothing against it, really was only a tad disappointed that he himself couldn’t personally tell us the happy news. I wish the future Mr & Mrs Park all the happiness and blissful life together. Now, I’m gonna sit back and wait for our amazingly talented actor, singer & swagger #Yoochun come back! Did the families really confirmed the date ? Or somebody leaked the news to the press? “We have not received any notice regarding the exact marriage date and we cannot confirm it,” an official from C-Jes Entertainment told The Korea Herald on Tuesday morning. “We want to be careful about giving any further details, as the artist is currently serving his military duty and his fiance is not a celebrity,” the official added. Pretty sure Cjes knows the wedding details but is not saying anything yet at Yuchun’s request. That’s why I don’t think the families confirmed the date. Insider blabbed? Anyway I am glad Yuchun is getting married. Whether you like his fiancee or not, there is already a positive change. He celebrated his birthday with her and her parents and his family I’m sure……instead of spending time with his friends and manager at that place he went last year on his birthday…..that place that caused the nightmare!! I understand that some fans may not like her, but ffs, at least show some respect for the girl who was there besides him during those difficult times. Wow… did they really call her that? He mentioned in an interview about failed relationships. Maybe its not easy to find the right girl . So when this girl appeared at the darkest period of his life and they get along, he didn’t hesitate to propose. As long as he is happy and wont be lonely anymore, then its all good. Unfortunately, yes, there are fans who insult her! Imo, if they don’t have anything good to say about her, then they should stfu! Congratulations Yuchun and Hana. Here’s to your long, happy and successful life together. all i want is for him to be happy! Me too. At first I was skeptical about how much was true in rhe story. I wish them both the very best. About the leaked “confirmed” date, wonder it wasnt done to throw people off. That’s what I would do. Lol. Yes, i have the same sentiment. Yes he was expected to be first! I sincerely congratulate you Chunnie. Congratulations Yoochunie. Be forever happy!! & never think about leaving your members!! We’ll be waiting for you! The Three of you need to win this battle & see its end. Congratulations, Yuchun! Happy for you going into a new chapter of life, another stage of beginning soon. If you find a right person, hold it tight. Everyone deserves to be happy. So are our JYJ members. Always support the 3 trios, JYJ at their BEST & at their WORST too. Congratulations Yoochun, I wish you a happy personal life, and always still waiting for Park Yoochun the actor and The JYJ member.